Once again, it is time for annual presentations making requests for the City of Lockhart to distribute Hotel Occupancy Tax monies. This year, it is expected that $59,990 will be split between organizations who “put heads in beds” in Lockhart’s hotels. nclude the mission and benefit of the organization, how the previous year’s distributions were spent, and to give a detail of total estimated dollars to be spent from January – December 2013. Lockhart Chamber of Commerce, the “official” visitor’s center, gave an overview of their Web site upgrade, which features new software and a design that is more user-friendly and has increased their web traffic to more than 100 hits per day. Interim President Becki Womble reminded the council that the Lockhart Chamber of Commerce “represented everything Lockhart has to offer,” and did this through television commercials and by allowing other businesses access to the web site to submit their events. The Lockhart Chamber of Commerce is requesting $20,000 in hotel/motel tax funding. The Greater Caldwell County Hispanic Chamber of Commerce stated their objective for the year 2013 was a better business program, which has begun with a new office worker to answer telephones. Frank Estrada added that they had partnered with Progressive, and are allowing them use of the office. The Hispanic Chamber has experienced successful fundraisers, and plans to begin holding the ribbon cutting ceremonies again. They are also requesting $20,000 to offset some of the costs of new computers and printers, as well as aid in their radio and web advertisements. Gaslight-Baker Theatre’s David Schneider introduced the “Ticket Turtle,” which tracks the zip codes of people who register for tickets on the theatre’s website. Schneider said the theater is attracting filming groups and historic photographers, and they have already contracted performances for 2013, including song performances, one-man shows and original plays. The Theatre’s mission is to stimulate all who come through their door with professional quality shows. Due to a $9,000 loss caused by higher-than-anticipated utility and royalty expenses, the theater is requesting $12,000 or funding at the previous year’s percentage, whichever is less. The Caldwell County Museum also boasts great success at bringing in visitors, including groups sent in from 22 other countries. They promote historical heritage by educating residents and visitors through exhibits and special events, which have attracted location scouts and filming companies interested in history and the paranormal. Though the museum is not open often enough to be eligible for some grants, they are requesting $3,200 for the year. Finally, the Southwest Museum of Clocks and Watches attracts tourists with its mysteries of time and timekeeping, and also helps facilitate tours of the Caldwell County Courthouse. While the museum largely depends on donations, they are hoping to bring a little bit more in with their new attraction: a 1920’s machine that visitors can choose to clock in and out on. They are requesting $4,790. The Council is expected to announce a decision about funding during a later meeting. In other news, Southwest Ambulance Sales of Garland, Texas will be selling Lockhart a specified new 2013 Ford F-350 vehicle chassis, and will also refurbish and remount the Type 1 ambulance box unit of our existing Medic Unit #4 for the amount of $69,995. An elevator will also be purchased and installed for the Clark Library Phase II restoration and Expansion project. A&F Elevator Company, Inc. of Garland, Texas will be doing the job for $69,895. Mayor Lew White praised the work being done on the Library renovation project. “Everytime they pull out a wall, it’s a new store… [they are] winging it, and doing it with some innovative approaches,” he said. Also working in the Clark Library project is Schmidt Electric, of Austin, which was awarded a contract for electrical work in the amount of $203,000. 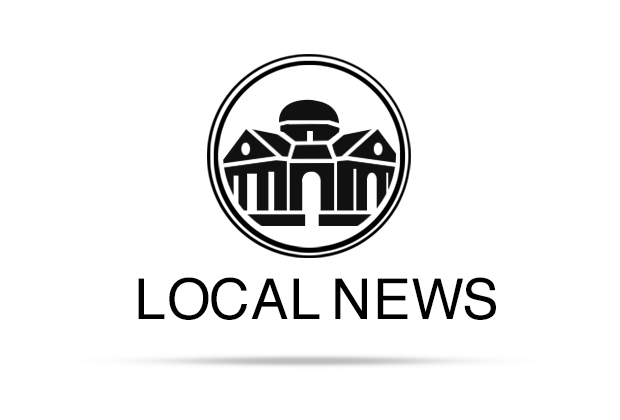 The Lockhart City Council routinely meets on the first and third Tuesday of each month at 7:30 p.m. in the Glosserman Conference Center of Lockhart City Hall. The meetings are open to the public and are televised on Time Warner Digital Cable Channel 10.